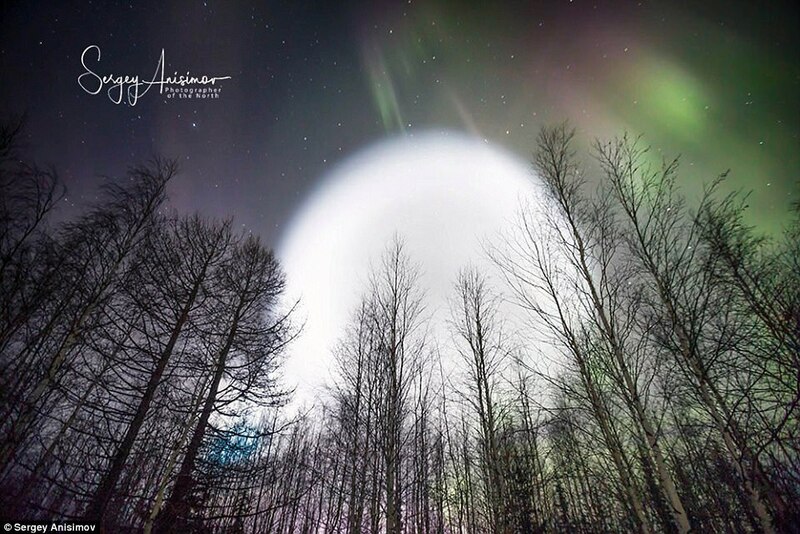 Russia has been hit by a wave of reports of a giant UFO in the sky last night with spectacular pictures of an enormous glowing ball illuminating northern Siberia. Social media erupted with claims of 'aliens arriving' and locals in far flung parts of the country told of 'shivers down their spines'. 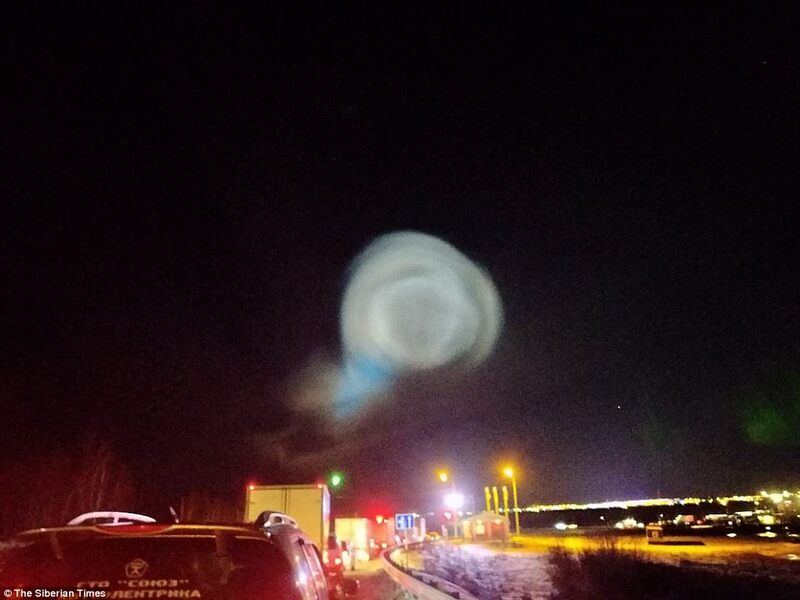 While the source of the light remains unclear, some have suggested that it was the the trace of a rocket launched by the Russian military that caused this extraordinary phenomenon in the night sky. The extraordinary scenes were captured by leading Siberian photographer Sergey Anisimov in the town of Salekhard which straddles the Arctic Circle. After the multi-coloured light show was over he went home to find local children as young as five in the yard babbling about 'aliens' and 'the portal to another dimension', he said. Some 520 miles further east, another photographer Alexey Yakovlev admitted to feeling scared as he witnessed the UFO spectacle at Strezhevoi, in the north of Tomsk region, reported The Siberian Times. 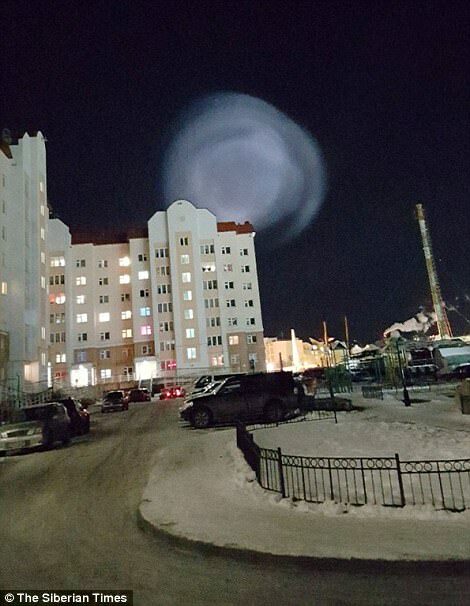 While the source of the light has not been confirmed, not all are convinced it was a Russian rocket test. 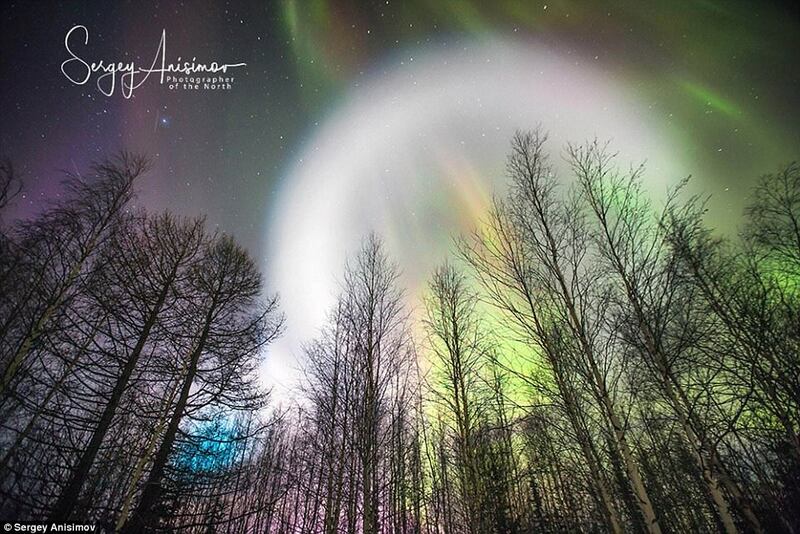 Some local experts suggest it may have been caused by the Northern lights. But the most common theory is that Russian strongman Vladimir Putin had chosen this moment to frighten the West with grandiose military exercises by his strategic nuclear forces. Putin personally oversaw the launch of four nuclear-capable ballistic missiles as part of a training exercise for Russia's strategic nuclear forces, the Kremlin said on Friday, the Interfax news agency reported. The test launches, conducted last night, involved land, air, and submarine-based ballistic missiles, Russia's defence ministry said in a separate statement. 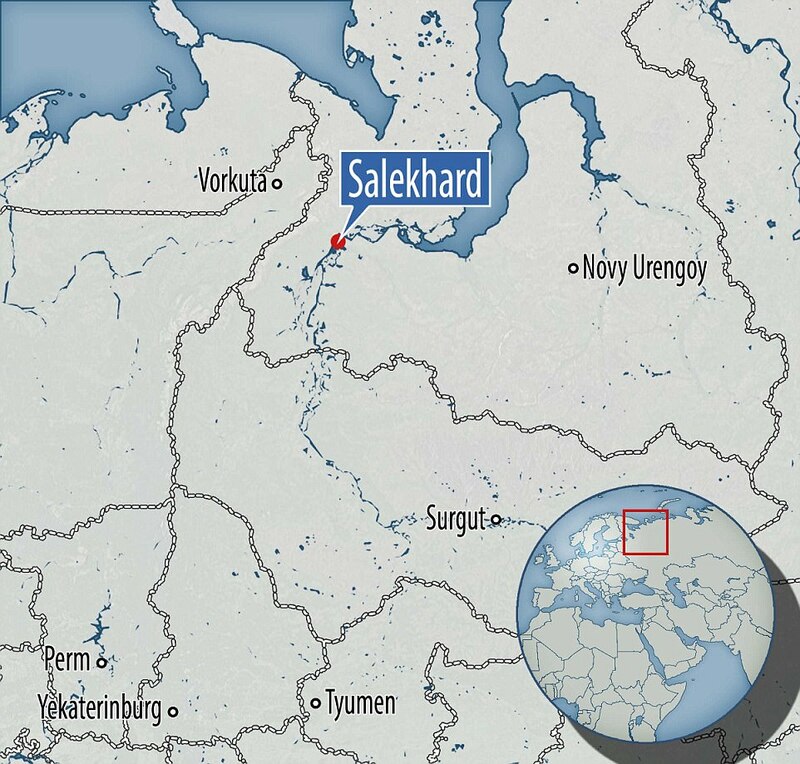 The ministry said a Topol intercontinental ballistic missile had been test fired from the Plesetsk cosmodrome in northern Russia, hitting a target at the Kura military testing range on the Kamchatka Peninsula thousands of kilometres (miles) away. 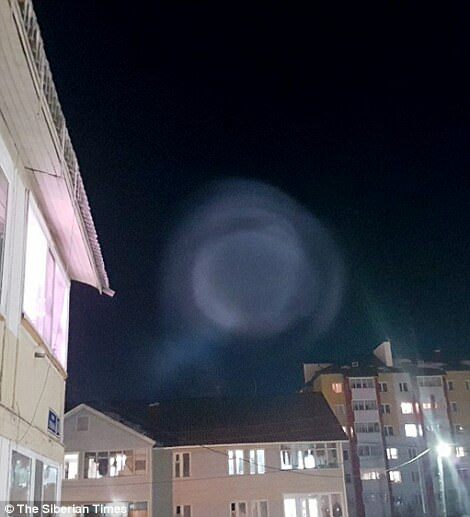 It was the likely the traces of one of these rockets - capable of carrying nuclear missiles - that caused this extraordinary phenomenon in the night sky, say the Russian media. As photographer Mr Yakovlev accurately guessed: 'It seems I accidentally shot the launch of a secret space rocket from Plesetsk'. Nigel Watson, author of the UFO Manual, told MailOnline: 'This looks amazing and it is not surprising the sight of it caused witnesses to think of aliens and the opening of a portal to another dimension. 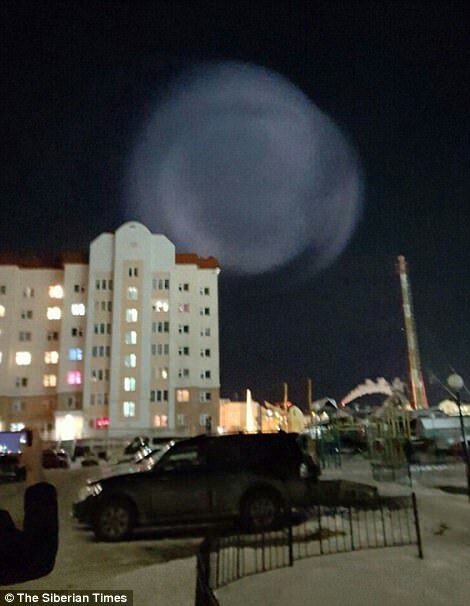 'These fantastic possibilities are shot down by the prosaic explanation that this strange light phenomena was caused by the testing of an intercontinental missile. 'This seems like a poor explanation for something so spectacular but other rocket launches have caused similar spectacles. 'In particular, in December 2009 a stunning spiralling light was seen over Norway, which was caused by a failed Russian missile test. 'They may not be of an alien origin but we can certainly admire their beauty, even if they are caused by weapons of mass destruction.' 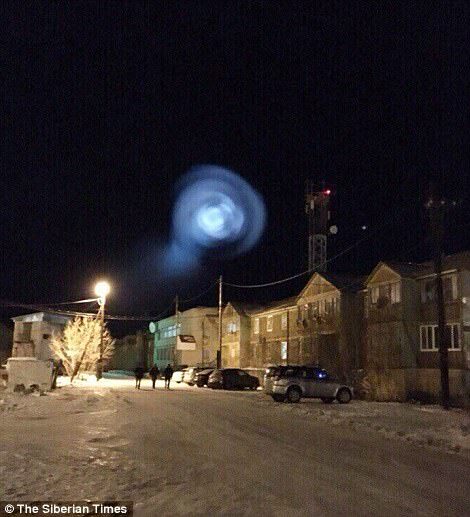 A similar light was seen in the skies over Norway in December 2009, which was caused by a failed missile launch. Speaking to Barents Observer at the time, Dr Truls Lynne Hansen, a researcher at the Tromso Geophysical Observatory, said: 'The missile has probably come out of control and exploded.